Crazy Rich Asians was a hit earlier this year, amassing an impressive $238 million worldwide, and was just nominated for two Golden Globes. With that kind of box office clout, and with two more novels by author Kevin Kwan already existing, it’s a no-brainer that we’ll be getting sequels. 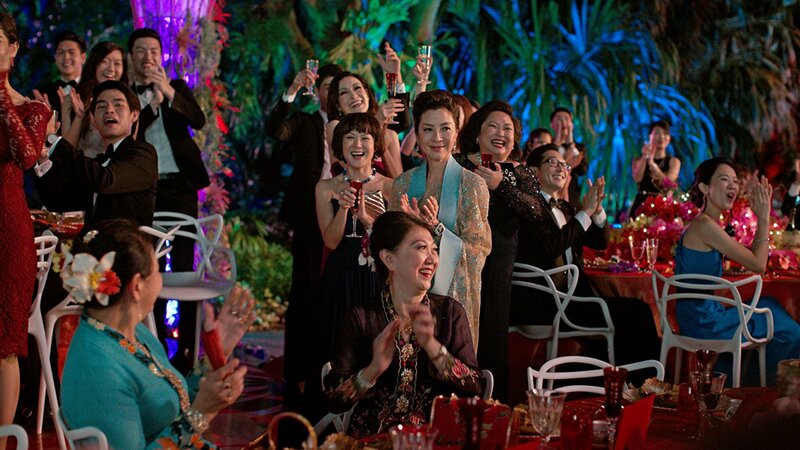 However, the great ensemble cast (the likes of Constance Wu, Henry Golding, Michelle Yeoh and Awkwafina) have been in very high demand since the film was a critical and financial success, meaning it has been hard to get everyone back at the same time for a sequel. But it seems a compromise has been found. Two sequels – China Rich Girlfriend and Rich People Problems – will indeed be made, and will shoot back-to-back due to talent availability. The other issue is that director Jon M. Chu is currently working on an adaptation of In The Heights, meaning that he won’t be able to start prepping for the sequel shoot until 2020. So fans hoping for a sequel to arrive quickly are likely looking at a 2021 release date for China Rich Girlfriend at the earliest. The script is reportedly being worked on by Adele Lim and Peter Chiarelli. One of the film’s producers, Nina Jacobson, confirmed the news and said that by having fans initially wait for the follow-up film “we’ll make it up to them on the back-end by shooting two films together”. “Audiences have been ready for a while, it’s corporate and the studios who are just waking up and this year has proved it. The fact that three best picture titles centre around Black characters (Black Panther, If Beale Street Could Talk, and BlacKkKlansman) and another [around] Asian characters reflects the sea of change we’re seeing”. So although we’ll have to wait a while to see the characters of Crazy Rich Asians again, it should mean that both sequels arrive not far apart from each other. And hopefully by the time the first sequel arrives, we’ll be living in a Hollywood where the amount of asian representation on screen has skyrocketed.